Andalay Solar Inc (OTCMKTS:WEST) has dipped below a penny on significant volume in recent trading sessions. WEST popped to highs of $0.125 in early 2013 but has been in general decline since despite several short term pops. WEST was incorporated in 2001 in California as Akeena Solar, Inc. During June 2006, they were reincorporated in the State of Delaware. On September 19, 2013, the Company changed their name to Andalay Solar, Inc.
Andalay Solar Inc (OTCMKTS:WEST) designs, manufactures, markets, and sells solar power systems and solar panels in the United States and Canada. The Company is a pioneer in the concept of integrating the racking, wiring and grounding directly into a solar panel. The Company’s patented AC solar panel reduces the number of components for a rooftop solar installation by approximately 80% and lowers labor costs by approximately 50%. WEST new solar plug & play technology, the world’s 1st AC Solar Panel with instant racking, grounding, & wiring won the 2009 Popular Mechanics Breakthrough Award, and has become the industry’s most widely installed AC solar panel. 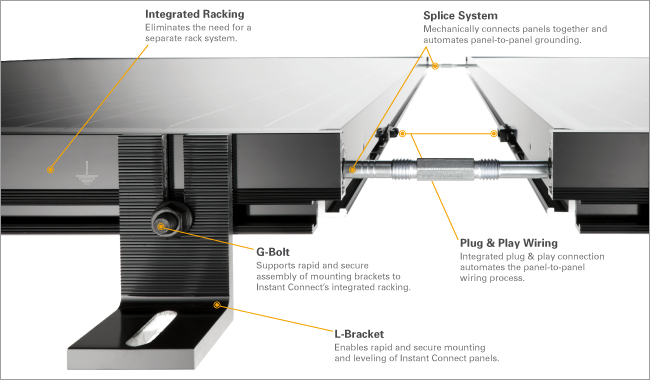 It is a pioneer in the concept of integrating the racking, wiring and grounding directly into a solar panel. It is also the obvious choice for do-it-yourself-ers because everything is integrated into the panel there is no need procure and assemble separate rack systems which are unsightly and time consuming to construct. Internal ground components eliminate the need for expensive copper wiring and provide a redundant ground path (UL and NEC approved). The integrated racking “groove” of the panel enables secure mounting to reduce pull-out forces that might be exerted by wind or snow loads. Andalay Solar Inc pioneered the concept of integrating the racking, wiring and grounding directly into the solar panel. This revolutionary solar panel, branded “Andalay”, quickly won industry acclaim. In 2009, the Company again broke new ground with the first integrated AC solar panel, reducing the number of components for a rooftop solar installation by approximately 80 percent and lowering labor costs by approximately 50 percent. This AC panel, which won the 2009 Popular Mechanics Breakthrough Award, has become the industry’s most widely installed AC solar panel. A new generation of products named “Instant Connect” was introduced in 2012 and is expected to achieve even greater market acceptance. For more info on WEST Please Subscribe below, also you should know we have Something Huge Coming! WEST has over 30 pending or issued patents related to solar panel installation technology. The company sells their products to solar installers, trade workers and do-it-yourself customers through distribution partnerships, its dealer network and retail outlets, such as Lowe’s Home Improvement stores. Award-winning Andalay Solar Power Systems provide the best combination of safety, performance and reliability. Back in June WEST announced that its Instant Connect® Module is compatible with power optimizers supplied by SolarEdge Technologies, Inc. (“SolarEdge”) SEDG, +3.01% a global leader in PV inverters, power optimizers, and module-level monitoring services. The SolarEdge module add-on power optimizer can now be snapped onto the Andalay module frame using Andalay’s bracket. Andalay and SolarEdge have also agreed to work on developing DC Instant Connect®, a solution that will embed the power optimizer cables into the frame of the Andalay module to allow faster cable connection between modules with the intention of eliminating costly wire management issues. In addition to the plug and play wiring, the DC Instant Connect® rail-less module further simplifies installation since it has built-in racking and grounding. On July 27 WEST announced Southridge Partners II LP an institutional investor, has entered into a new equity purchase agreement with Andalay Solar, Inc.(otcqb:WEST), based in Fremont, California. Solar is a great space to be in these days; the sector is exploding and solar stocks are skyrocketing! For years solar power has been on the sidelines however this is changing very fast; in the US 75% of new power installations in the first part of 2014 are Solar. Recently Deutsche Bank came to the conclusion that by 2016, solar power will be as cheap, or cheaper than electricity from the conventional grid in every state except three. In China solar is going bonkers and also the middle east with Dubai planning to complete the second phase of the Dubai Solar Park. In Saudi Arabia there are plans to launch a massive renewable energy and Jordan threatening to upstage everyone by taking aggressive steps to reduce its dependence on imported energy. Many are predicting extraordinary growth in the sector in coming years and this bodes well indeed for Andalay Solar and their patented plug & play technology which seems to be selling extremely well and understandably so. We Have a MASSIVE Stock Pick Coming ASAP. Only a Crazy Person would Miss this! Currently trading at a $2 million market valuation WEST has minimal assets, small revenues and rising short term debt and possibly dilutive financing. But WEST is an exciting story developing in small caps; the Company is an innovator responsible for the revolutionary solar panel, branded “Andalay”, that quickly won industry acclaim. They also developed the first integrated AC solar panel that one the 2009 Popular Mechanics Breakthrough Award and reduces the number of components for a rooftop solar installation by approximately 80 percent and lowering labor costs by approximately 50 percent. We will be updating on WEST when more details emerge so make sure you are subscribed to Microcapdaily so you know what’s going on with WEST. Disclosure: we hold no position in WEST either long or short and we have not been compensated for this article. I also thought it was good investment two and a half years and 99,000 shares ago. With todays new low my 100,000 shares are worth about $100 and not even worth selling. THE STOCK IS IN A DEATH SPIRAL AND HAS LOST 99% OF ITS VALUE. SOUTHRIDGE PARTNERS DOES NOT INVEST, THEY SELL THE STOCK TO ZERO AND POCKET A NICE PROFIT. with almost one half of a million shares i am dissappointed with the poor results in the price.i have faith in the industry. its not worth much today but i will still hope that somebody out there will recognize the talents this company has.